With Chinese New Year just around the corner, We would like to extend the New Year’s greetings to you all on behalf of the Schwarzman College! On November 1st, Lawrence H. Summers, Tsinghua University’s renowned visiting professor, and former US Treasury Secretary spent an entire day teaching and engaging students at Schwarzman College. From November 13th to November 19th, the inaugural class of Schwarzman Scholars visited Xi’an and Baoji in Shaanxi province and Suzhou in Jiangsu province to take part in the course Deep Dive. Interested candidates will participate in a rigorous and thorough selection process, designed to identify the most promising young leaders from around the world. The process includes an online application and credentials evaluation as well as in-person regional interviews. 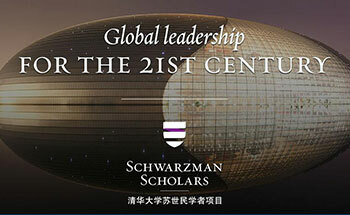 Those selected will have demonstrated their potential to not only benefit from but also contribute to the Schwarzman Scholars program. Palo Alto, January 13, 2019 – Schwarzman Scholars, in partnership with the National Committee on U.S.-China Relations (NCUSCR), this week hosted an alumni seminar in Palo Alto focused on leadership and technology in Silicon Valley. It is an honor to be here with you today as we conclude the second year of the Schwarzman Scholars.